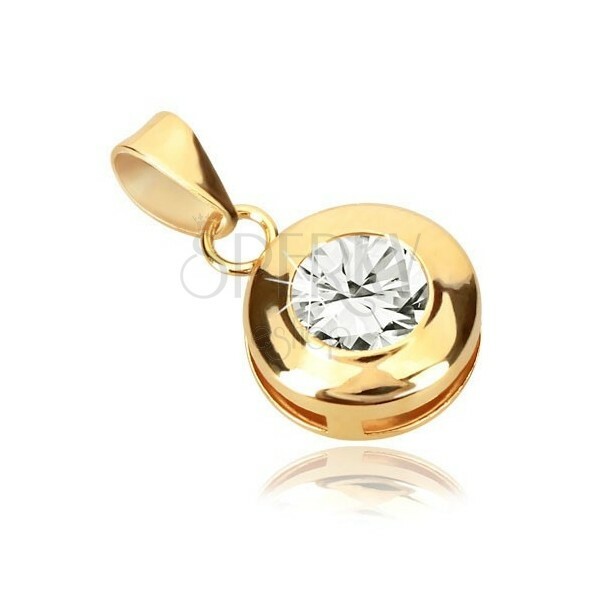 375 gold pendant - little caval roller with rounded edges, notches at the sides, clear round zircon at the front part. 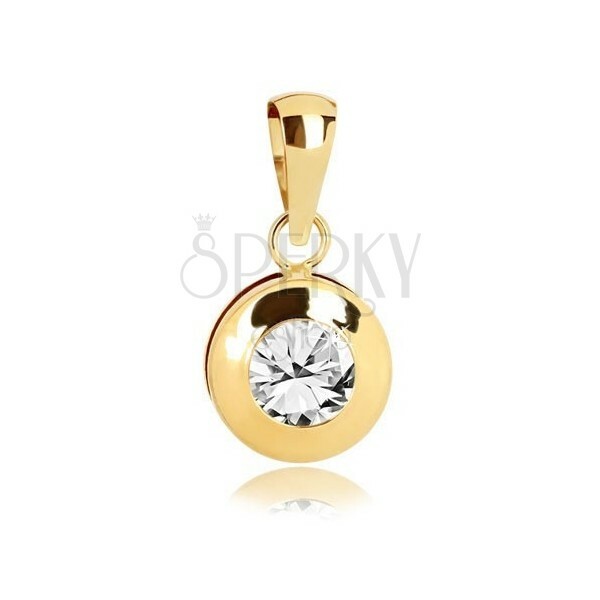 Yellow 9K gold pendant has a shape of caval roller. The front part has a shape of circle and it has slightly convexed surface. It is decorated with embedded glittery zircons. 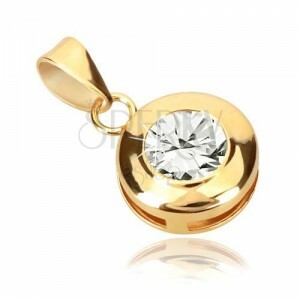 Zircon is of round shape available in clear hue. There are three narrow rectangle notches at the sides. Back part is flat with rounded edges. Surface pendant is smooth and glossy. Ring has oblong shape and it slightly broadens upwards.